﻿ It's 2am. Do you know where your documents are? Home > Translation Topics > It's 2am. Do you know where your documents are? It's 2am. Do you know where your documents are? Some translation companies claim to be able to handle anything you throw at them. Their secret could be their willingness to give your documents to unknown translators in unknown (and unknowable to you) venues. Those translators are often not native-level-capable in either English or Japanese. This is a recipe for trouble. And there are additional confidentiality concerns. You are faced with a pile of discovery documents produced to you by a Japanese party in litigation, or you have Japanese documents that could be used to invalidate a patent that your client might be accused of infringing. You instruct a paralegal to have the documents translated into English. The paralegal places an order for the Japanese-to-English translation with a translation provider that you have been using (yes, that one, most likely). This scenario happens daily. It is highly unlikely that the final consumer of the translation even vaguely suspects that the work might have been given to a translator unknown even to the translation agency before (and often after, if subcontracting is involved) the job was sent out and working in a country completely unknowable to their client. Should you need to care about from where that translation broker is purchasing the translations they sell you? Yes, we think, for a number of good reasons. Although you could say that translations are "just words," your efforts in representing your client are built on "just words." Don't you and your client deserve the best words? By treating translation as a commodity, the one-size-fits-all approach of the high-volume translation brokers looking for translators does a disservice to both the translation practitioner and the user of translations. The reality is that one translator and the translations produced by that translator are not interchangeable with another translator and that translator's product. Each translator has his or her level of ability to translate and—hopefully—subject-matter expertise. Sometimes it is sufficient for the task of translating your documents, sometimes not. Who is doing your translation should matter to you, unless quality does not. Other than Price, Why Would You Trust Your Documents to Nameless Translators in Unknowable Locations? Few clients for legal services would wish to retain a law firm without having information about the attorney who will provide those services. Similarly, an attorney will very rarely retain an interpreter for depositions without knowing who the interpreter is. It is just common sense. In the case of translation, however, such common sense is often discarded. Clients are told by translation brokers that all they need to do is send their Japanese documents; they will do the rest. Almost never, however, is there any information available about the translator or about the venue in which the translation is being done. Clearly, this isolation of the actual practitioner (translator) from the client sacrifices some benefits (such as being able be vet potential translators) that can only be achieved by translator-client contact, at least via the translation provider, while also raising potential issues of confidentiality and security in the case in which documents to be translated are sent to unknowable (to you) places. Where Do Translation Brokers Find These Mystery Translators in Unknowable Lands and Why? Relative to the huge amount of work they take on, most large translation brokers have very little in-house translation capability—in most case almost none the Japanese-English pair you need—and rely almost exclusively on translators they have never met and may never themselves know. This is why they are best characterized as being brokers or translation resellers, as opposed to true translation companies. Such places don't do translation and cannot do translation. Typically, upon receipt of an order for Japanese-to-English translation, they will scramble to find translators. They often contact translators with whom they have never worked. These days, that reach extends to countries in which translators working between Japanese and English have native-level skills in neither Japanese nor English. You would likely not give a French text to a Russian to translate into Arabic; why do the same thing with your Japanese texts? The results are predictable, but it might take a while for problems to surface. We see the results quite often when an attorney is examining a witness in a deposition based on documents that have been poorly translated. A byproduct of the efforts of translation companies to place a firewall between their translators and the client is an increase in the risk of poor quality. Professional translators who take pride in their work ask questions that should be posed to the client. A value-added translation provider should at least act as a conduit for these questions. Are you receiving questions about the documents you are having translated? If you never receive any questions, it is not safe to assume that there are no problems hiding in the translation you get back. And you will almost never receive questions when you order Japanese-to-English translations from a translation broker. When you have a translation company sign a protective order or NDA, it is natural to expect the translation provider to impose the same conditions of confidentiality on its subcontractors. Remember, however, that the large translation brokers often subcontract Japanese-to-English translations to places like China, India, Eastern Europe, and the Middle East. What happens when a subcontractor in one of those venues is not trustworthy? What recourse does your translation provider (or you) have if a subcontractor they use in one of those places does not honor the obligations of the protective order or NDA? Can You Rely on Poorly Done Translations When Examining a Japanese Deponent? Our long experience with litigation interpreting clearly indicates that, in many cases, the deposition interpreter working for the examining attorney is the first person to discover that a document being relied upon in examining a deponent is poorly translated or even mistranslated. Sometimes a translation into English of a document produced in Japanese is so poorly done that that it literally leaves the interpreter speechless while trying to find a way to interpret the English in it quoted by an attorney back into comprehensible Japanese for the witness. What Happens When You Need Certified Translations? If a translation done by an unknown and unknowable translator in an unknowable venue turns out to be valuable enough to present as evidence in litigation or to use in patent prosecution, you probably need a certified translation. When you order a translation from a translation broker, will the translation be certified by the same translator as did the translation? Most often it will not. Most translation brokers want to hide the translator's identity from the client or, because of subcontracting, do not even know the translator's identity themselves. The standard procedure is to have a non-translator execute a meaningless "translation certification." Sometimes the certification is worded using such phrases as "this translation was done by a qualified translator," thereby enabling even someone who is not a translator to "proxy" the certification of accuracy by an act of faith. In some cases—and we have witnessed this more than once—the translation broker simply fills in the name of a real translator who had nothing to do with the translation or the certification. 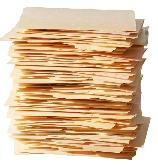 We have seen this with documents used in depositions. One time, the name of the translator was one I trusted would never have produced the horrendous translation that my client was attempting to use in the deposition. His name was used in the certification letter for a translation that appeared to have been done in China. During a break I verified not only that the translator listed had nothing to do with that translation, but also that the broker in question had a history of misusing his identity on certification letters. will usually certify the accuracy of a translation with a letter bearing only the name of a person knowing nothing about Japanese or even translation in general. What is a Translation Consumer to Do? expect to be given information about the translator or (better yet), be able to meet or at least have a chat with the translator on the phone. The above will not 100% guarantee you the best translation you could get, but will go a long way to avoiding the problems of dealing with translation brokers more interested in cutting corners than in providing high quality and assuring the security of your documents.